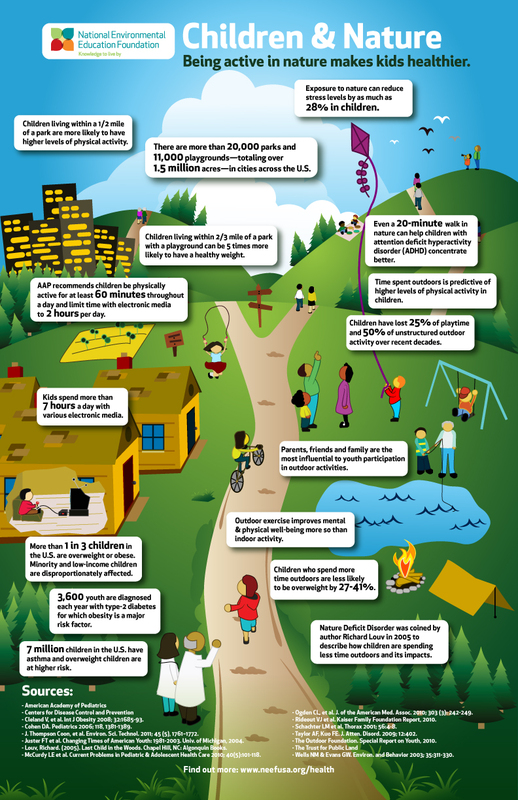 Children living within a 1/2 mile of a park are more likely to have higher levels of physical activity. Children who spend more time outdoors are less likely to be overweight by 27 - 41%. Children have lost 25% of playtime and 50% of unstructured outdoor activity over recent decades. Both NEEF and ALR encourage you to explore all of the facts of how children are interacting with nature and share the infographic with those in your network. A version in English and Spanish of the infographic can be found on the NEEF website. Learn more about how parks and recreation facilities can provide opportunities for physical activity and can help people of all ages lead a more active lifestyle.